The Ritchey Trail Stem is the first Ritchey stem specifically designed for today's 5 to 6 inch travel trail bikes using wide bars. 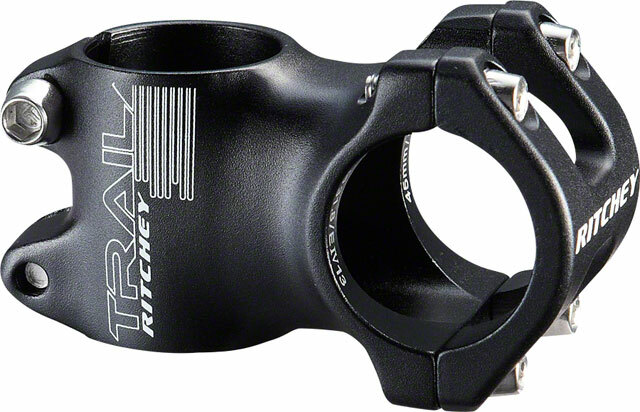 Available SoonSorry, 'Ritchey Trail Stem: 70mm, +/- 0, 31.8, 1-1/8, Black' is currently out of stock. Please check back later or contact Bikeman for an expected availability date. Refer to our Shipping Terms for more information.